Support This Venice Fire Department Fundraiser! - Yo! Venice! Home Abbot Kinney Blvd Support This Venice Fire Department Fundraiser! Support This Venice Fire Department Fundraiser! 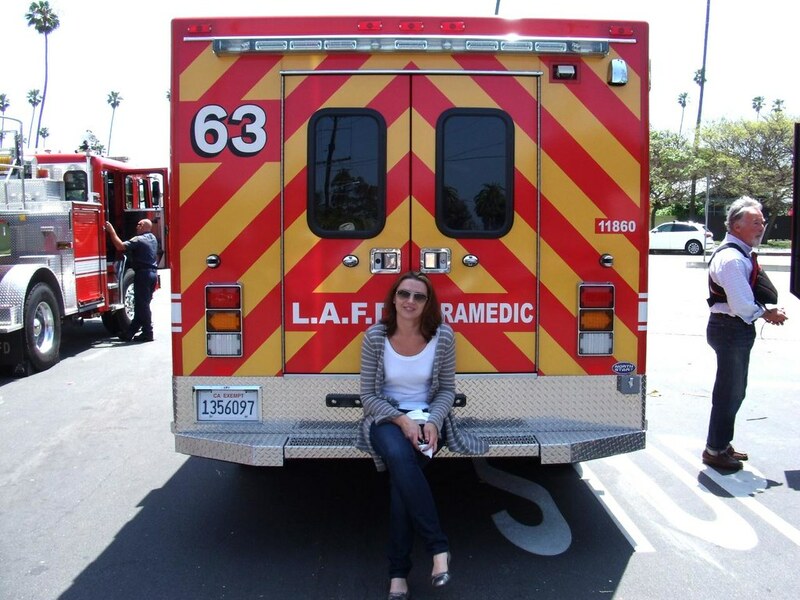 Catherine Dudman’s life was saved by L.A.F.D. Station 63 here in Venice. She is fundraising for 63 as a “thank you” for their help. Her story is as follows, please help Catherine and 63 out! I was an avid marathoner, until I started to experience knee pain. A trip to the surgeon in early October 2011, determined that a clean up of my knee was required, and off I went on October 27th for a quick procedure. 48 hours later, I suffered some complications post knee surgery, I went into cardiac arrest, had a heart attack and a stroke. If it wasn’t for the quick response time, skill and expertise of the Los Angeles Fire Department Paramedics, in particular Station 63, I wouldn’t be here today. Over the past year, with the help of some very talented people (Stella, Adam, Archie, Chris to name just a few), I have regained my strength, and have since put my running shoes back on. My first race is this Sunday, November 11th: The Malibu 1/2 Marathon. I am dedicating this run to LAFD63 with the goal of raising $5,000. Every penny helps benefit LAFD 63. Did you know that they have to purchase everything out of pocket? LAFD does not even take care of the upkeep of the Fire Station!! Each station is responsible for their own, so if they need new carpet, they have to fundraise for it! I have a fundraising page set up on Crowdrise. Please take a moment to have a look. If you do decide to donate – please make sure that you do not pay the “Optional Processing Fee” – that does not go to the charity – if you click on it, you can reduce the amount to zero, then update, then donate. With your help, I know I can reach my goal, just need to spread the word amongst my friends and colleagues for a little bit of help. Thank you for all the support that I have received over the past year, it’s been a challenge, but I made it through with my friends beside me.